Specializing in commercial glass door repair, All Service Glass proudly serves the entire Portland OR, Gresham and surrounding areas. Entrances to commercial storefronts reflect and impact the image and credibility of your business. Don’t let damages hurt your business, call on All Service Glass to quickly and efficiently conduct the commercial glass door repairs you need. Comprehensive business glass door repair services with All Service Glass. As the leading glazing professionals in the Portland OR and Gresham OR area, exceptional service and customer satisfaction is top priority. Always using the highest quality glass and aluminum when conducting repair services. Rest assured that you are getting the most for your money. 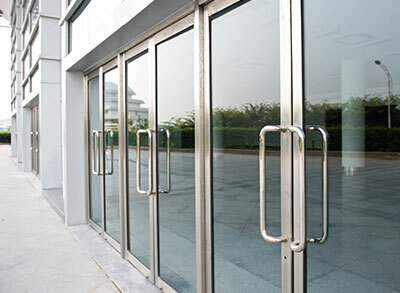 No matter your commercial door and glass repair needs, All Service Glass is here to serve you. Don’t let a broken door, or cracked glass take away from the image of your business. Call today for more information or get a free no obligation quote.